Click the Undo button and it will revert to being in the 'Submitted' status (the 'Approved' will change into a 'Submitted'). 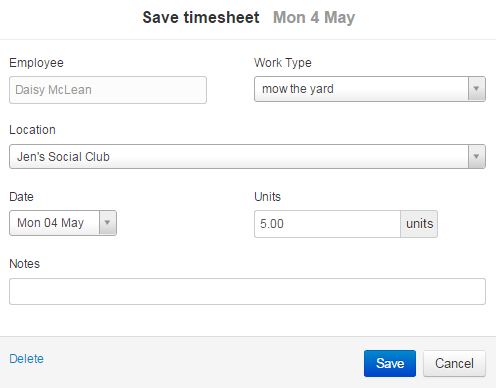 From the editor window, you can make the necessary changes to the timesheet. Once you’re done, save the timesheet and you can go back into the approval screen and approve the timesheet.